Cookouts are a summertime staple. Gathering with friends in the backyard, soaking up the rays, and enjoying burgers hot off the grill is tradition for many. But for some, filling up with meat during the summer is counterintuitive to their health and fitness goals for the season. If you fall into this category, the great news is that doesn’t mean you have to ditch your annual BBQ altogether. 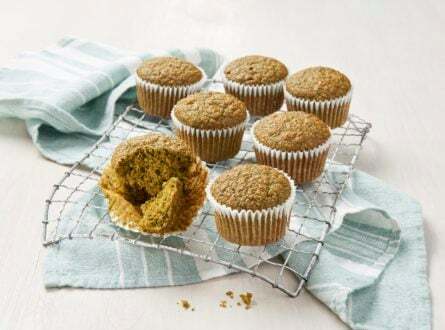 This handy guide will help you whip up tasty, plant-based treats that will appeal to vigorous vegetarians and confirmed carnivores alike. First things first, you need to dispel the notion that cookouts exclusively mean burgers, hot dogs, and mayonnaise-laden side dishes. If you enjoy seitan hot dogs and tempeh bacon, that’s great. But meat substitutes rarely make the grade with your meat-eating friends and family. In addition to plant-based patties, which have become universally acceptable for burger-loving omnivores, you can serve a simple menu of fruit and vegetable dishes. They can stand up to the heat, and give your guests light and flavorful options to enjoy under the sun. Be sure to let your friends know in advance that you’ll be solely serving up foods that have sprouted from the earth. Add the good news to invitations, post it on Facebook, and spread the word among invitees ahead of time, so no one arrives expecting standard straight-off-an-open-flame fare. Also specify that if they want to bring anything, it should be meatless. We’re doing our part to help the environment by hosting a totally plant-based cookout. But just because we’re skipping the meat doesn’t mean we want you to skip out on the festivities. We’ll be serving up a bunch of tasty vegan and vegetarian snacks for you to enjoy, so we hope you’ll join us on this eco adventure. You might be surprised to find you don’t even miss the meat when you try the flavor-packed menu we’ve got planned. In other words, ‘Challenge accepted,’ carnivore friends! If you’d like to bring anything, please be sure it’s a meatless dish. Also feel free to bring green products like cups and plates. Look forward to seeing you, and sharing earth-friendly treats together! Now on to the plant-based dishes for your cookout! This patty is packed with flavor from fluffy brown rice, red bell peppers, carrots, yellow onions, tomato paste and chili flakes. It’s hearty without being heavy. And that kick of spice adds some smokiness so it tastes fire-grilled. Topped with creamy, fresh avocado swaddling every bite makes for the perfect cheese substitute. If you want to give your guests multiple meatless options, these quinoa patties are another all-natural alternative, loaded with garlic, garbanzo beans and mushrooms. Top them with tomato, fresh red onion or crisp lettuce for crunch, and it’s sure to be a crowd pleaser. I know I said no meat replacements, but this pulled jackfruit is something wholly different from the shredded pork it’s meant to imitate. 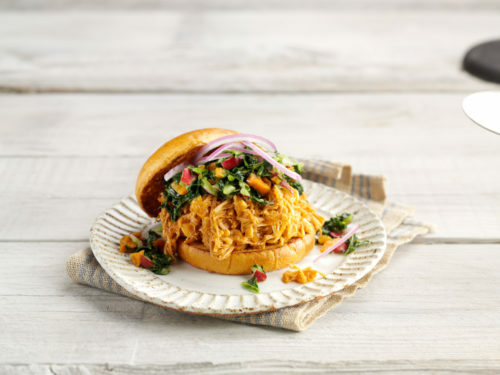 With chili-glazed pieces of jackfruit, savory roasted garlic and warm, nutty notes of brown sugar, it’s even better than the real thing, especially when topped with coleslaw that rivals anything your carnivorous cohorts have ever tasted. The blend of almond milk and Dijon with honey and apple cider vinegar will make mayonnaise seem obsolete. Speaking of fried foods, these carrot croquettes are like the chicken nuggets of the vegetable family, and perfect for kids. Breaded fresh carrot purée sautéed with butter, nutmeg, onion, and fresh parsley give these non-fried faux fowls all the flavors you want in a hand-battered finger food without the saturated fat. 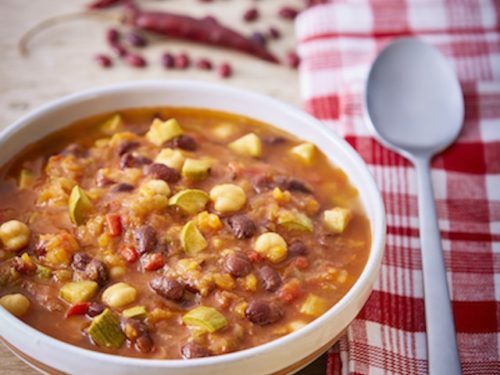 Chili is another tasty and healthy cookout staple, and this recipe has slow-cooked spices that taste like they’ve been simmering on the stove top for hours sans the meat. Let’s face it, people eat it for the five-alarm flavor anyway. Loaded potato skins can make for a comforting cornerstone of any cookout. This stuffed eggplant, zucchini, and onion recipe satisfies that loaded craving in a healthy way. With hints of Parmesan cheese and breadcrumbs, it provides a familiar cheesy fried feeling for guests. These stuffed peppers will give guests another stuffed option, and they’re great hand food for eating outdoors. Filled with zesty ingredients like herbed quinoa, sundried tomatoes, black olives, capers and pine nuts, they have a surprisingly ‘meaty’ flavor. 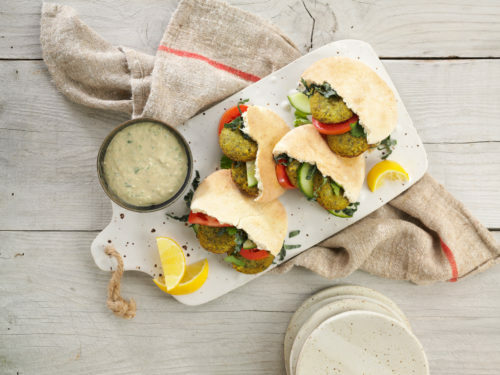 If your guests are still missing hot dogs and hamburgers, these baked falafel balls tucked in plush pita pockets with jalapeño tahini are sure to do the trick. That is, if you consider hot dogs sandwiches! That ongoing internet debate aside, these pita halves stuffed with dense, breaded chickpeas will give guests a meat-like experience, ensconced in special sauce with lettuce and tomato like any self-respecting sandwich. However you decide to craft your meatless menu, remember that there are a plethora of plant-based selections like these available that can coax out big flavors your carnivorous crew has never imagined. Show them the light. Looking for recipe inspiration? 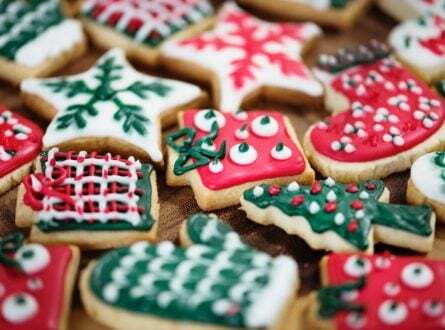 Activate your free Cookidoo® membership here!